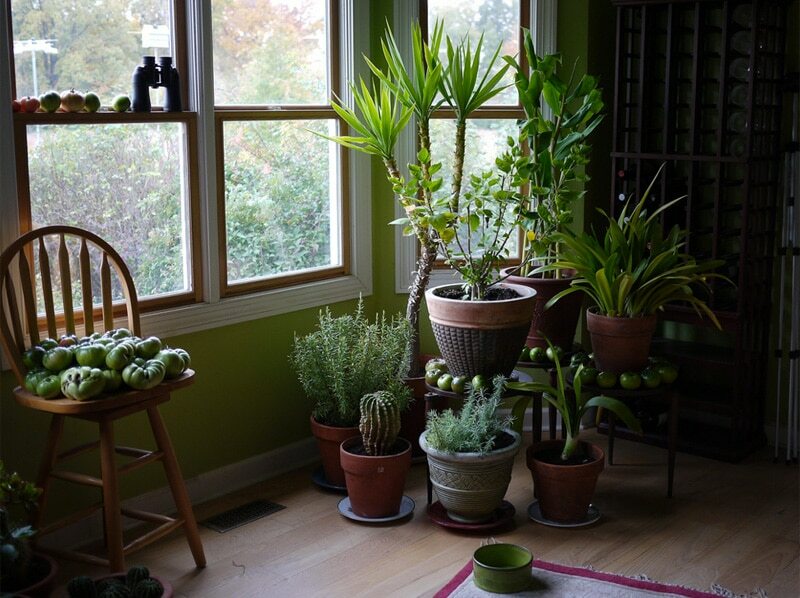 Home Home & Garden Can Houseplants Make You Healthier? Many of us have houseplants as mementos – the result of a clipping from Grandma’s ivy, or as a gift on a special occasion, such as a birth, wedding, or funeral. But, did you know that houseplants can actually make you healthier? In fact, businesses are turning the corner on their “lean” design, in which all frills are removed and all decorations are part of the decorator approved palate. More than ever, the businesses are learning the benefits of houseplants in the workplace. Here are some ways in which houseplant can make you healthier. Humans breathe in oxygen, and exhale carbon dioxide. Plants do just the opposite. The process of photosynthesis results in the plant in your home and workplace absorbing carbon dioxide from the air, and releasing oxygen. This actually increases oxygen levels in the room during the daytime. This helps to keep the air fresh in family rooms and office spaces. During the night, plants reverse the procedure, since there is no photosynthesis. However, there are plants such as bromeliads, orchids, and succulents, that continue photosynthesis in the night. These are excellent plants to have in the bedroom, as they will freshen the air all night long. As plants conduct photosynthesis, they also release moisture in to the air. Basically, they humidify the room. It is estimated that plant only use 3% of the water they absorb, releasing the rest into the ambient atmosphere. University studies have shown that plant groupings will actually increase the humidity levels in your home or office. This results in a reduction of issues with dry sinuses, sore throats, and even dry skin. As the plants in your home or office “breathe” and humidify the rooms’ atmospheres, they also purify the air. According to a NASA study, plants will remove as much as 87% of all VOCs in the air every, single day. VOCs are volatile organic compounds that are present in construction materials and furnishings. For instance, carpet and vinyl have formaldehyde in them, as well as trichloroethylene and benzene. Benzene is also present in printed materials, and most of these chemicals are present, also, in grocery bags, paint, and ink. Modern buildings are built to be air-tight, and trap most of these chemicals inside. Plants, however, absorb most of the VOCs, partly through the foliage and partly through the roots, where they serve as plant food. Studies conducted in Norway show that, in office settings in which there are numerous plants, employees have a 60% decrease in incidents of sickness, headaches, fatigue, and the symptoms mentioned previously concerning dry skin and sinuses. Other studies from England have also shown that students of all levels who are taught in classrooms with plants present can focus better, with 70% improvement in attentiveness. 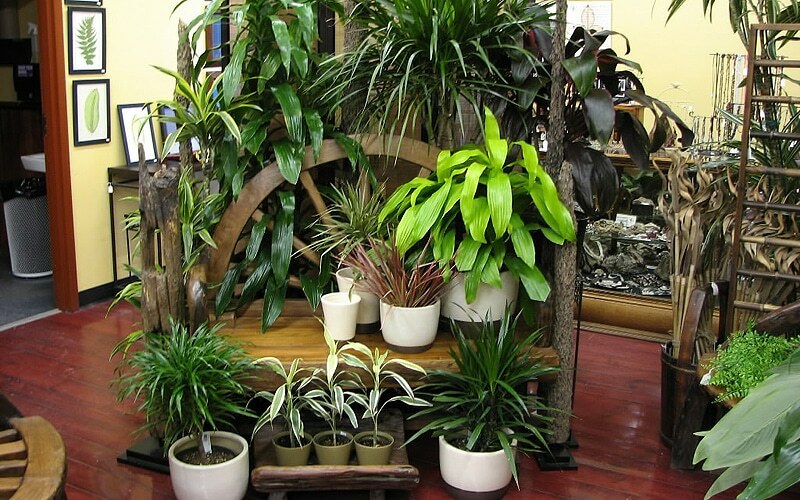 Houseplants are attractive additions to any home or office. But now, we know that they can make us healthier, too! You should have at least one 8” pot for every 100 sq. ft. to get the most health benefits from potted plants. Next articleOil Pulling: Is It Beneficial Or Just A Fad?